Al that is claimed by the maker is proved in practice. These inner tubes really do retain pressure for longer. Work as expected. No pressure drop so far. Do these come in the original Schwalbe boxes? 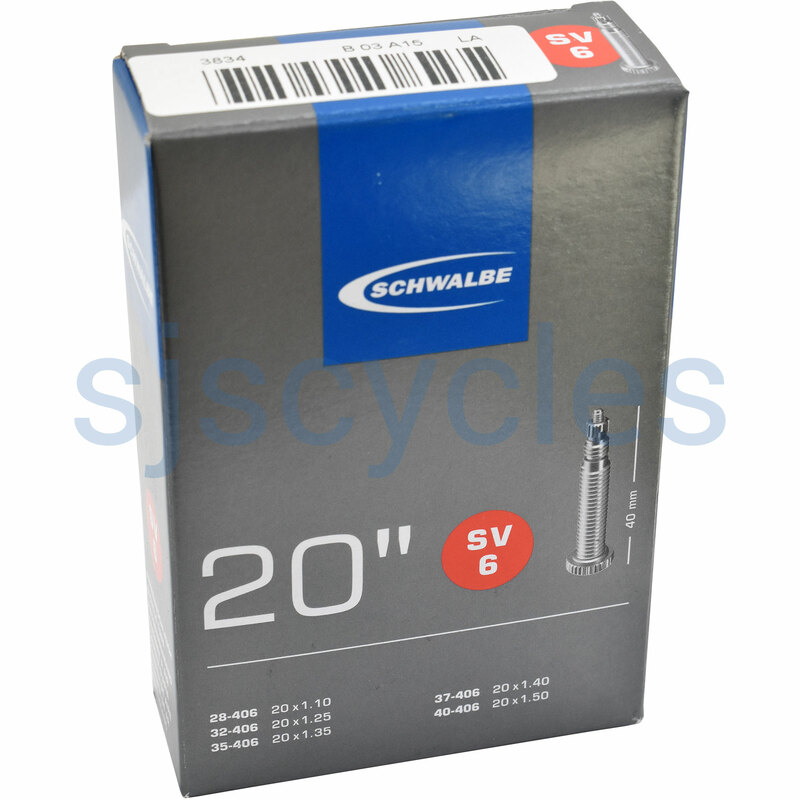 These tubes do indeed come in the original Schwalbe box, we only photograph them without the box. Is The Valve Core Removable? I am interested in the following inner tube and wondered if the valve core was removable? These Schwalbe inner tubes do indeed have a removable valve core. 3 of the above tubes to Australia. For a shipping quote just add all of the items you are looking at to your basket and the website will calculate the cost for you. For international postage its impossible to give an accurate time for shipping but most parcels arrive within 1-3 weeks.